Meeting your customers’ demands is the key to staying relevant. Operators know this all too well: being able to launch new services quickly, introduce new features or update deployed STBs with ease is at the heart of delighting your customers. However, this isn’t always possible. Many operators are held back by the limitations in components or capabilities which are dictated by their current conditional access vendor. Yet with the competitive market pressure today, this is no longer acceptable. This is why we developed Keys & Credentials: a vendor neutral, managed security service operated by Irdeto as an independent Trust Authority. From its dedicated, secure production facilities, Irdeto removes the burden of ongoing security operations and key management. Acting on your behalf, Irdeto manages all the processes and workflows for the provisioning of all security keys and certificates for new service activation. This includes security asset production, technical integration with manufacturing facilities, updating in-field devices and even revocation. The result is that you avoid technology lock-in, gain full control over your content distribution platforms and speed up time to market. Are you looking for an advanced Key Provisioning Service? Freedom of choice in partners and suppliers: Keys & Credentials gives you the freedom to introduce or switch to new technologies throughout the lifetime of managed devices (e.g., for CA, DRM, subscriber authentication). Time to market for new services: The cloud provisioning feature of the service enables you to quickly respond to market developments by rolling out new and updated keys to devices already in the field. 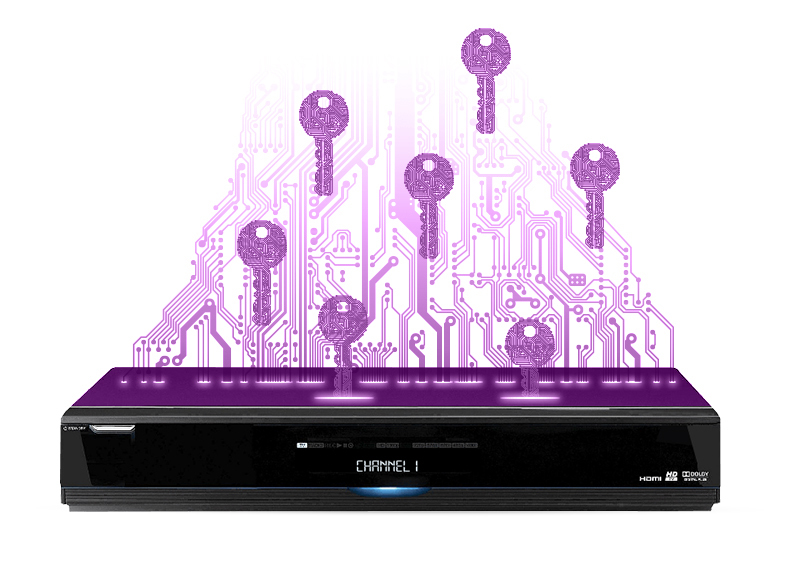 Future-proof STB with built-in flexibility: Designing the Irdeto Keys & Credentials capability into the next-generation platform (e.g., PVR, UHD devices) from the start is the best way to future proof your platform. Irdeto has established agreements and processes in place with all major licensing authorities, STB and chipset providers. This means you have a wide array of choices ready to go, reducing the time and cost needed to launch your platform and services.